When Mondays get tough, the tough start thinking about Marvel's Man-Thing. 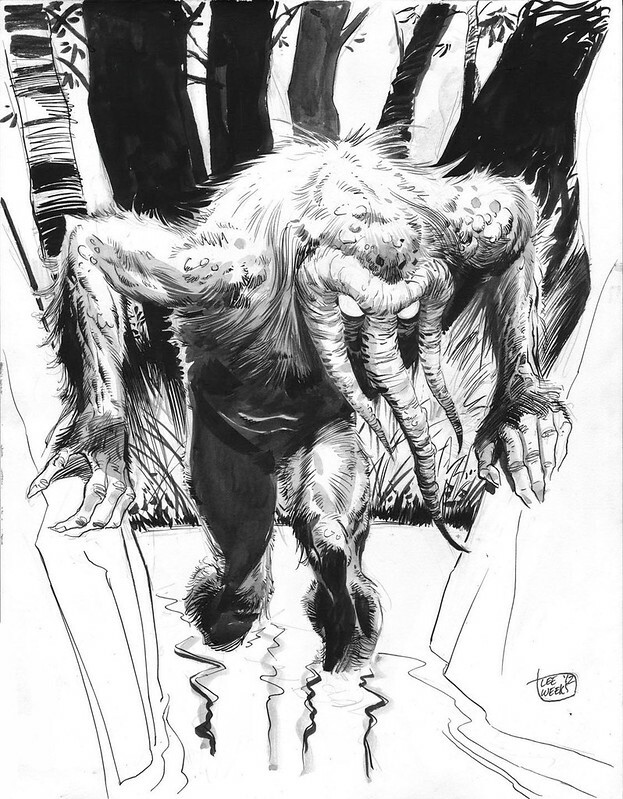 A great pen and ink illustration of the muck monster rambling through the swamps of Florida. Nuff Said! Weeks shows a pretty strong Gray Morrow influence in this illustration. It looks like he's coming off of the page!